(NB I refer in the book to ‘Muslims’ rather than to ‘Bosniaks’, since before the 1990s, the term ‘Bosniak’ applied equally to all native Bosnians – Orthodox/Serbs, Catholics/Croats and Muslims alike). In completing this book, I have concluded the research project I began fifteen years ago as a doctoral student, and continued as a postdoc, and which previously gave rise to my books Genocide and Resistance in Hitler’s Bosnia: The Partisans and the Chetniks, 1941-1943 (Oxford University Press, Oxford, 2006) and The History of Bosnia: From the Middle Ages to the Present Day (Saqi, London, 2007). Since this marks, for me, the end of a personal era, I should like to say a few words about the big questions I was raising in these books. I began my research project against the backdrop of the war in Bosnia-Hercegovina of the 1990s. This war involved the destruction of the multinational Bosnian state as a result of the aggression and genocide waged by the regime of Slobodan Milosevic in Belgrade and the Bosnian Serb rebels under Radovan Karadzic and Ratko Mladic. The government and majority population of Bosnia-Hercegovina made an unsuccessful bid for independence in the face of this assault, but the war ended in 1995 with Bosnia’s statehood and multinational society effectively destroyed. Although my own views of the rights and wrongs of this conflict are no secret, my motivation for embarking on my research project was intellectual rather than political. Back in the 1990s, as today, students and scholars interested in the Bosnian war had focused on the short-term and all-Yugoslav causes of the war, above all the period from the rise of Milosevic in the second half of the 1980s. The topic was, and is, most frequently approached from the perspective of contemporary politics and human rights rather than of history. This is fine as far as it goes, but it has meant that the medium- and long-term historical background of the conflict has remained hidden; accounts of the break-up of Yugoslavia tend to have Bosnia appearing only in the final chapters, and almost out of the blue. My contention was then, and remains today, that you cannot understand how and why the modern Bosnian state was destroyed in the 1990s unless you understand how and why it was created in the first place. And it was created in the period 1941-1946, by the Yugoslav Partisan movement which, under the leadership of Josip Broz Tito and the Communist Party of Yugoslavia, waged a successful campaign of resistance against the Nazi and Fascist occupiers of Bosnia and of Yugoslavia. This resulted not only in their liberation from Axis occupation, but in the revolutionary overthrow of the old Yugoslav monarchical order, and the establishment of a new Yugoslavia as a federation of six republics. One of these republics was the People’s Republic of Bosnia-Hercegovina. Why had the Communists decided to establish Bosnia as a separate republic in its own right ? How had they been able to mobilise their Partisan soldiers – who in Bosnia were, at all times, majority Serb – to accept Communist leadership and fight for this goal ? How had they been able to persuade Serbs, Muslims and Croats to fight alongside one another in a common, all-Bosnian Partisan army ? How and why did they defeat their enemies – the Croat Ustashas, Serb Chetniks and Muslim autonomists – and win the war ? How did they organise the new Bosnian state ? These were some of the questions I attempted to answer. I also had a secondary reason for wanting to study this topic, that was not directly related to the Bosnian war of the 1990s: the desire to understand the Yugoslav Partisan movement and revolution of 1941-1945. The neglect of this topic by Western historians is astonishing. There have only been two successful, indigenous Communist revolutions in European history: the revolution in the Russian Empire of 1917-1921 and the revolution in the Western Balkans (Yugoslavia and Albania) in 1941-1945. The first has received enormous scholarly attention in the West; the second almost none. The orthodox Titoist narrative of the Partisans and the Yugoslav Revolution is an oversimplification that conceals as much as it reveals. The anti-Communist counter-narrative advanced by authors like David Martin and Nora Beloff is a politically motivated conspiracy theory. 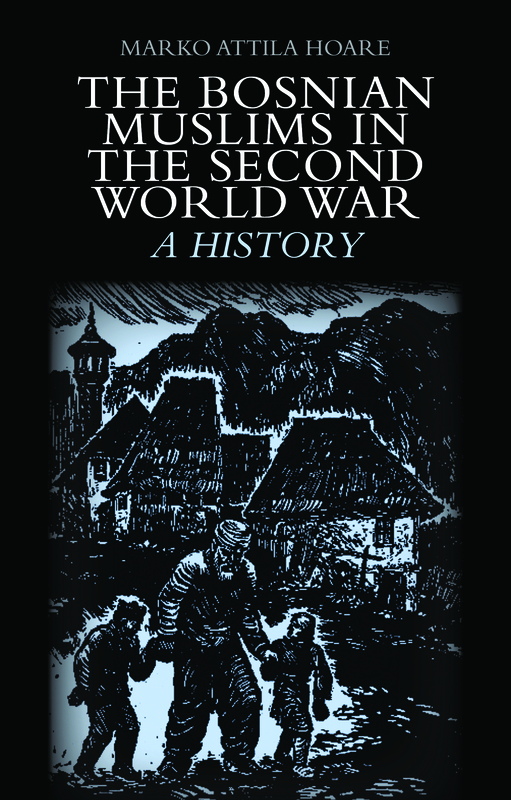 To oversimplify somewhat, my book The History of Bosnia originally began as an attempt to trace the long-term causes of the revolution in Bosnia of 1941-1945. It explains in detail why the Yugoslav Communists supported the goal of a unified, self-ruling Bosnia-Hercegovina as an entity separate from both Serbia and Croatia. My book Genocide and Resistance in Hitler’s Bosnia focuses on the early phase of the revolution and on the Bosnian Serbs. It explains in detail how the Communists were able to attain leadership over the Bosnian Serb rebellion that broke out in the summer of 1941 against the anti-Serb genocidal Ustashas and the puppet ‘Independent State of Croatia’. It explains how the Chetnik movement emerged in Bosnia-Hercegovina as a Serb conservative and nationalist reaction against Communist leadership of the anti-Ustasha rebellion, and how the rebellion divided into two opposing wings. On the one side, there was the Communist-led Partisans – a multinational resistance movement directed against the German and Italian occupiers, embracing Serbs, Croats, Muslims, Jews and others, whose goal was a self-ruling, multinational Bosnia. On the other side, there was the Chetniks – a purely Serb movement that collaborated with the Italians and Germans and that aimed to exterminate or expel Muslims, Croats and Jews, and whose goal was an ethnically homogenous Great Serbia. Hence the title ‘Genocide and Resistance’: the Partisan-Chetnik conflict was between on the one hand those rebels who wanted to resist the occupiers and opposed genocide; and on the other, those who wanted to collaborate with the occupiers and carry out genocide. I outline this book in more detail in my article ‘Author’s Perspective’, World War II Quarterly, vol. 5, no. 5, 2008, pp. 52-58. During the second half of 1941, the Partisans in Bosnia were a predominantly Serb movement focusing on the struggle against the Ustashas. During 1942, however, the emergence of the Chetnik counter-movement in Bosnia turned the latter into the Partisans’ principal enemy. The Partisans effectively won the war with the Chetniks in Bosnia by the autumn of 1943, largely because they were able to expand beyond their Serb and peasant base to embrace Muslims, Croats and the population of the towns in general. Having secured their base among the Bosnian Serb peasant population by breaking the Chetniks, the Partisans could then move on to the next stage of their struggle: the liberation of Bosnia from the Ustashas and Nazis. For this stage, the role of the Muslims, and to a lesser extent the Bosnian Croats, was crucial – in a manner not properly acknowledged in the orthodox Titoist narrative. Bosnia was also a crucial springboard for any Partisan push eastward to liberate Serbia and the rest of eastern Yugoslavia from the Nazis and Chetniks; the role of Bosnia and the Muslims was critical for the outcome of the entire Yugoslav civil war. Thus, just as my first book about the Bosnian Partisans, Genocide and Resistance in Hitler’s Bosnia, focused in particular on the Bosnian Serbs, so its sequel, The Bosnian Muslims in the Second World War, focuses in particular on the Muslims and Croats (the Croats were very much smaller and weaker as a community in Bosnia than either the Serbs or the Muslims, so their importance for the outcome of the struggle was correspondingly lesser). Of course, every title is an oversimplification, and both books tell the story of a multinational resistance movement and revolution, in which Serbs, Muslims, Croats, Jews, Poles, Ukrainians, Gypsies and others participated together. 1) That the Axis powers’ incorporation of Bosnia in 1941 within the puppet ‘Independent State of Croatia’, the re-erasing of Bosnia’s borders and identity by the Ustasha regime, and its brutal and murderous policies, provoked two, parallel movements of resistance that supported Bosnian self-rule: the People’s Liberation Movement (Partisans) and the Muslim autonomist resistance (which was not anti-fascist or anti-occupier, but merely anti-Ustasha). 2) That the Communist-led revolution in Bosnia that triumphed by 1945 did so because one section of the Muslim autonomist resistance went over to the People’s Liberation Movement – it did not simply involve a ‘pure’ triumph of the Partisans, as proponents of the orthodox Titoist narrative tend to imply. 3) That the People’s Liberation Movement on the one hand and its anti-Communist opponents, the Ustashas and the Muslim autonomists, did not comprise rigidly separate camps – as proponents of the orthodox Titoist narrative tend to imply. Rather, the three camps overlapped, with many individuals collaborating with two or three of them, and with members of each linked to members of the others through family and personal connections. These family and personal connections formed a major tool in the Partisan victory and Communist seizure of power; a conduit by which quisling soldiers and supporters of the Ustashas and Muslim autonomists could be recruited for the revolution. 4) That the Partisan victory was the product not simply of a successful guerrilla campaign, but also of political agitation by the Communists and their collaborators among the population of the occupied Bosnian cities and towns, and within the quisling armed forces – in particular, the Croatian Home Guard and Muslim legions. 5) That the Communists’ agitation on a Bosnian-patriotic basis, using Bosnian-patriotic slogans and arguing for Bosnian self-rule, allowed them to win over a substantial section of the Bosnian Muslim population, including of the elite. 6) That a major catalyst in bringing a large section of the Muslim population over to the People’s Liberation Movement, was Italian and German collaboration with the Chetniks, at the expense of the authority of the Ustasha puppet-state, and in particular Nazi Germany’s apparent turn in autumn 1943 toward an alliance with Great Serbian forces, posing an existential threat to the existence of the Muslims. 7) That the Partisan/Communist conquest of Bosnia in 1943-1945 represented not simply a military triumph – as presented in the orthodox Titoist narrative – but occurred through the wholesale defection to the People’s Liberation Struggle of elements of the quisling and collaborationist armed forces, including parts of the Chetniks, the Muslim legions, the Croatian Home Guard, the Bosnian SS Handzar Division and even some Ustashas. Hence, there are parallels between the Communist seizure of power in Bosnia in 1945 and the Bolshevik seizure of power in Petrograd in November 1917, which also succeeded through the winning over of the military units of the old order. 8) That the mass mobilisation and emancipation of women – a previously politically untapped section of the Bosnian population – was crucial for the success of the revolution, and conditioned the nature of the Bosnian state and society that emerged from it. 9) That the Partisan movement was itself heterogeneous and subject to a myriad of internal contradictions that, as it expanded, posed increasing problems for the Communist leadership. 10) That the above process constituted a specifically Bosnian revolution that was distinct from, albeit part of, the wider revolution in Yugoslavia; and that the outcome of this process was the establishment of a Bosnian republic within the new Yugoslav federation. This was not enacted top-down by the new Communist rulers of Yugoslavia, but was the natural outcome of the Bosnian revolutionary movement, led by the Communists in Bosnia, but embracing a much wider and more diverse section of the Bosnian population. The last quarter of my book deals with the first year and a half after the end of World War II in Bosnia; i.e. with the period from mid-1945 to the end of 1946. Here, I discuss the establishment of the People’s Republic of Bosnia-Hercegovina, set against the formation and organisation of the Yugoslav federation. I then discuss the weaknesses and problems faced by the new Bosnian Communist regime; its approach to reconstructing and governing Bosnia; and its attempts to deal with the rising opposition. I show how the broad, diverse coalition that was mobilized behind the Communists, to free Bosnia from the occupiers and quislings and to establish the Bosnian republic, subsequently had to be brought to heel by the new Communist regime, and how this involved its suppression of former allies and the imposition of a new political hegemony. Thus, after many thousands of Muslims had fought for the Partisans or been active in the People’s Liberation Movement, there was a brief flowering of Muslim national and cultural freedom after World War II, and the Muslims were virtually, if not formally, recognised as a nation equal to the other five recognised Yugoslav nations (Serbs, Croats, Slovenes, Macedonians and Montenegrins). But as the Communists consolidated their dictatorship, this freedom was curtailed, and many Muslims began to feel disillusioned with the new order. There was a resurgence of the radical ‘Young Muslim’ organisation in response, with a youthful Alija Izetbegovic, among others, figuring prominently in its dissident activities. Though they were suppressed, they would become, under the Communist regime, what the Communists themselves had previously been: a persecuted, radical sect, ready and able to lead the next revolutionary upheaval in Bosnia-Hercegovina. Part of the pleasure in writing this book was to tell in detail the exciting story of this great revolution. I have tried to avoid either idealising or demonising it, but to expresses its diverse, contradictory nature; to discuss both the high politics of the Communist leadership and the character of the revolution at the grass-roots level, and the many colourful characters it involved. The antics of Huska Miljkovic, the Muslim warlord of Cazinska Krajina in north-west Bosnia, were particularly fun to write about. The Communists and Partisans succeeded in what must have appeared to many at the time an impossible task: of reuniting Bosnia, re-establishing its statehood and reintegrating its divided population. It is a story that has lost none of its relevance for the present day.